What’s New with Apple Watch Series 2? One of the first things you might do with Apple Watch is to choose one of the ten watch faces provided and then customize it to your liking — perhaps with complications. 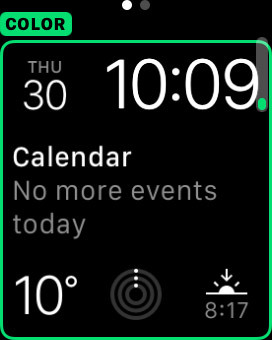 And it’s super easy to change faces and make those optional changes — both of which you can do right on the watch itself. 1When viewing the default (Modular) watch face, press and hold the screen. This enables Force Touch and launches the Faces gallery. 2Swipe left or right to select a clock face you like. 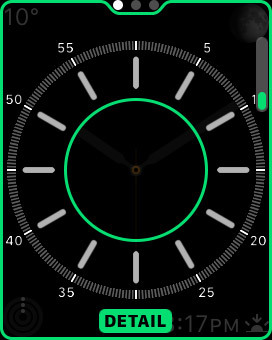 Tap the center of the watch face you want to use for time. 3Tap Customize near the bottom of the screen to personalize the face. The small white dots on the top of the screen tell you how many different customization screens are available for this face. You can change whatever is in the green outline. 4Twist the Digital Crown button to customize the screen. When you like what you see — for example, changing the color of the hands or text or adding a second hand — swipe to the left to go to the next customization screen. Twist the Digital Crown button to make your selection once again. Repeat this step until you’ve gone through all the customization screens — perhaps choosing color and extra time information. Typically, the last customization page is for complications. 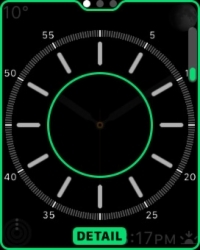 5Tap the green areas that can be added to your watch screen and then twist the Digital Crown button to select what you’re happy with. Repeat the process by tapping the other areas of the face you want to change, which will vary on which watch face you go with. Remember, you won’t have the same options for all watch faces. 6Press the Digital Crown button when you’re done customizing your watch face. This confirms you’ve finished with your options and are ready to see your customized watch face. 7Tap the center of the screen to confirm your changes. 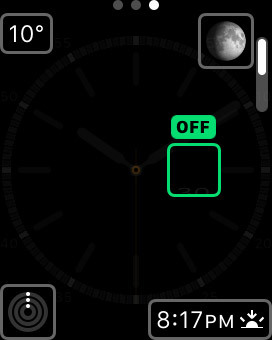 Once you’ve set your watch face, don’t forget you can tap on each of the complications — such as weather or stock quotes. That’s it! That wasn’t so difficult, right?